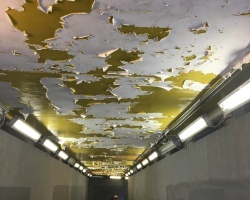 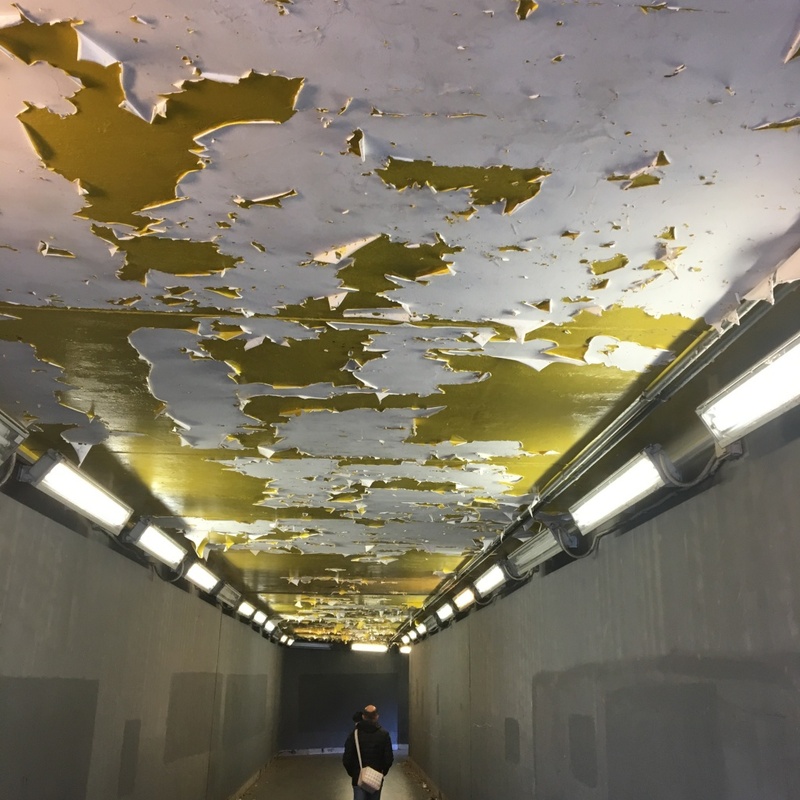 A bleak underpass connecting a metro station to the Palazzo della Civiltà Italiana in the EUR district in Rome, the kind of place often subject to vandalism, poorly lit, foul smelling and unsafe after-hours. 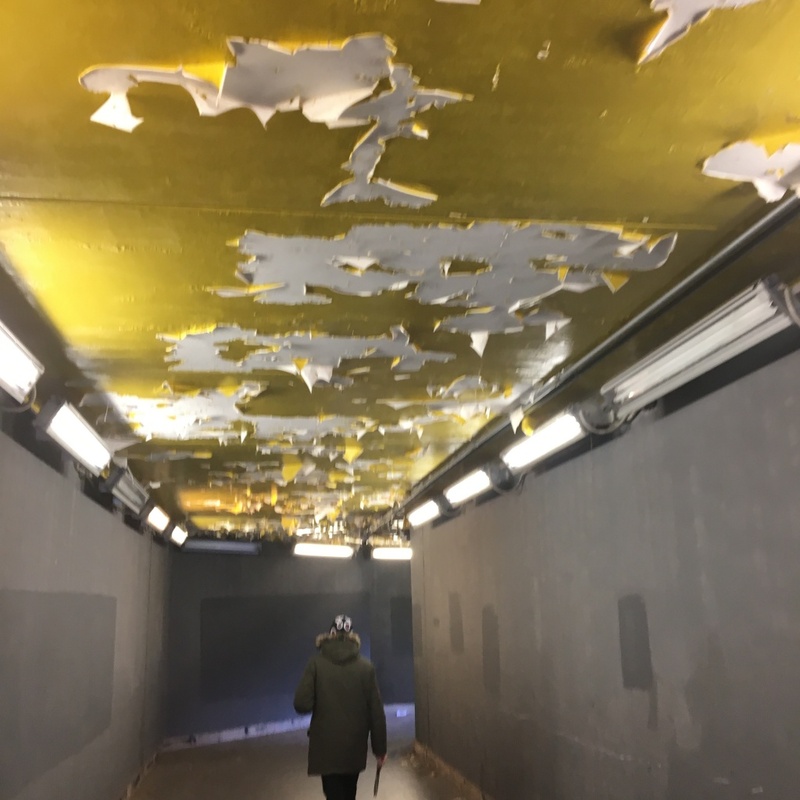 How to make it attractive on a meagre budget, without resorting to unimaginative tile cladding or the increasingly mainstream street murals? 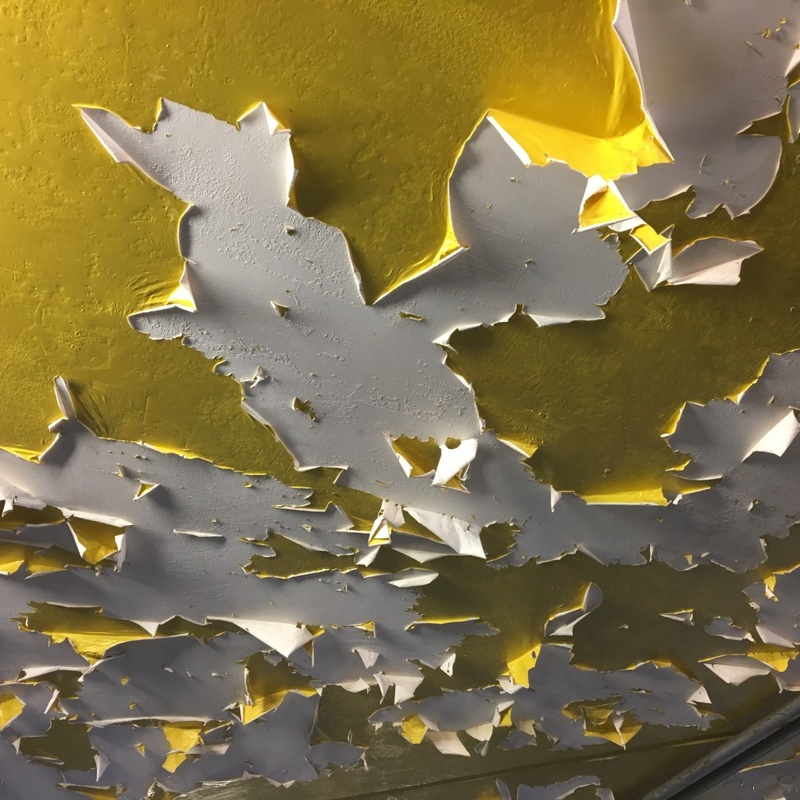 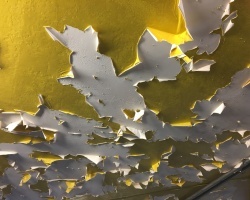 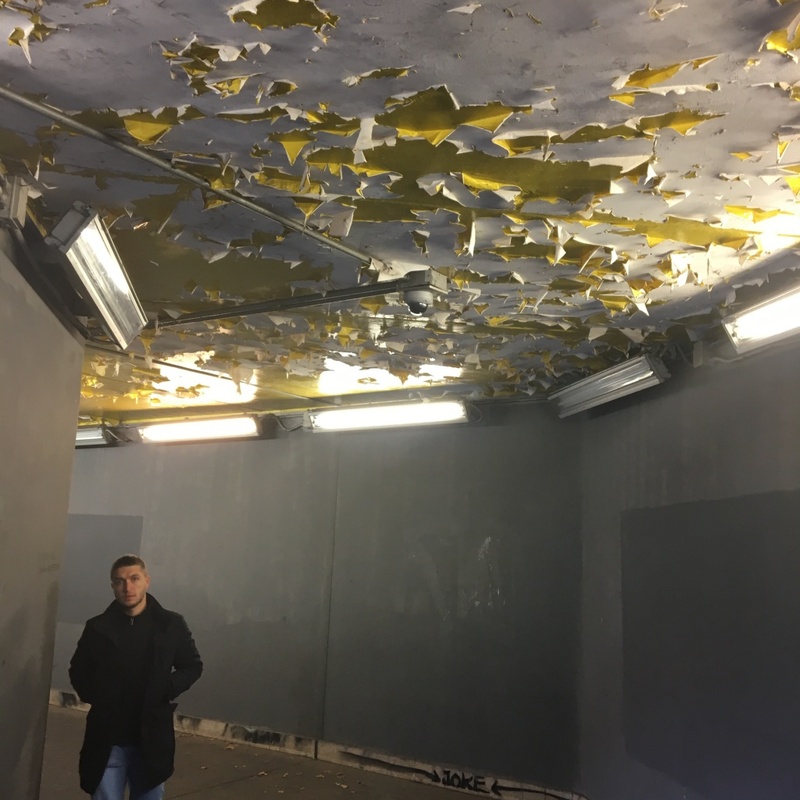 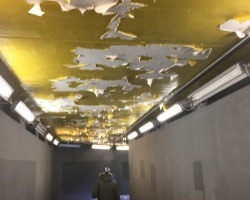 I chose to decorate the ceiling with an abstract three-dimensional artwork: on a background luminous white primer paint, before it properly dried, I instructed to spread a rich golden sand enamel. 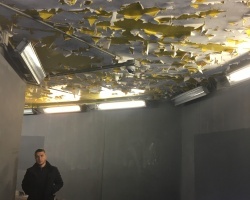 As a result it randomly did not adhere, creating bubbles that cracked and then partially peeled, creating a complex three-dimensional hanging landscape, rich in hues and shadows.